This young lad needed emergency surgery for a hernia. Many families just do not have any money at all. Even with free Missionary Doctors there is still the costs of medications and transportation. Even if the cost is 100 US dollars this represents 1/3 of a yearly wage. A special wheelchair delivered by our vessel to the orphanage. This was the first time in the child's life that he could sit back and not be always falling forward causing shortage of breath. We also delivered walkers, other wheelchairs, food, school supplies etc. 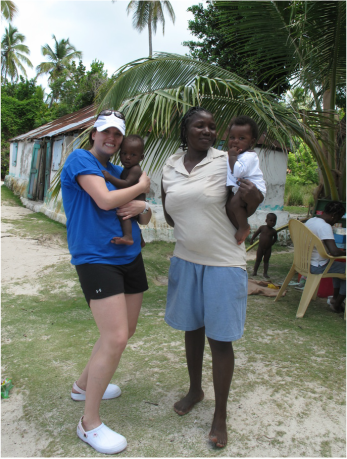 Vanessa Leeming, a nursing student, helping out organizing trips to the Missionary Doctors, sponsored by our expedition. 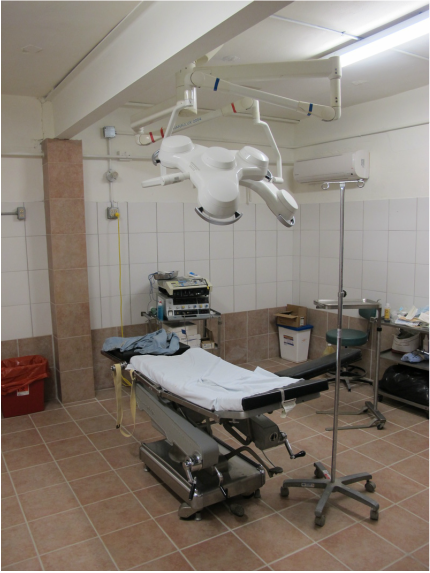 Around 20 cases dealt with but many other cases sent to the local clinic. Maranda Cook helping to organize visits with families to discuss health issues. If any sick children found we then organized how to deal with the concerns. 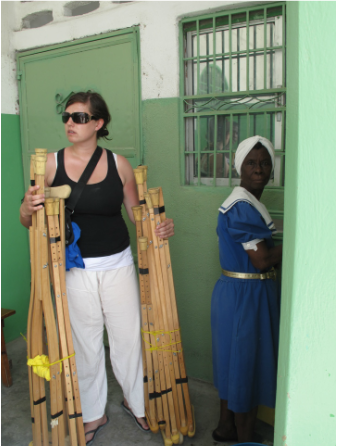 Picking up medical supplies in Canada from NOT JUST TOURISTS, to be delivered to several locations in Haiti. video Medical supplies heading out by boat. Medical supplies being sorted and distributed to hospitals and clinics.